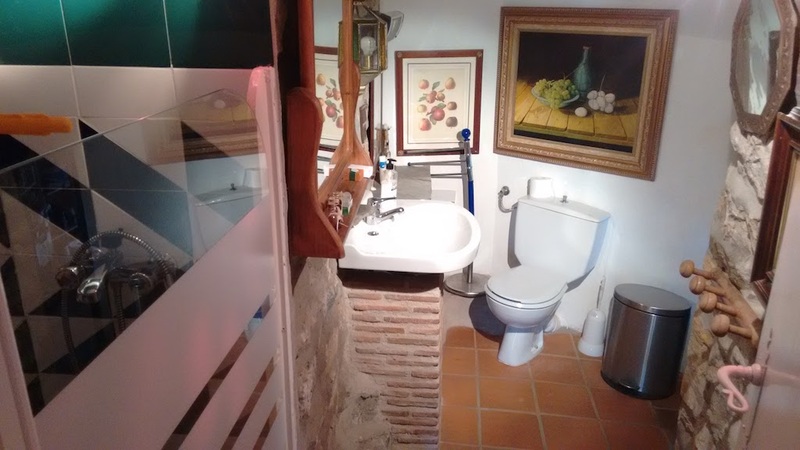 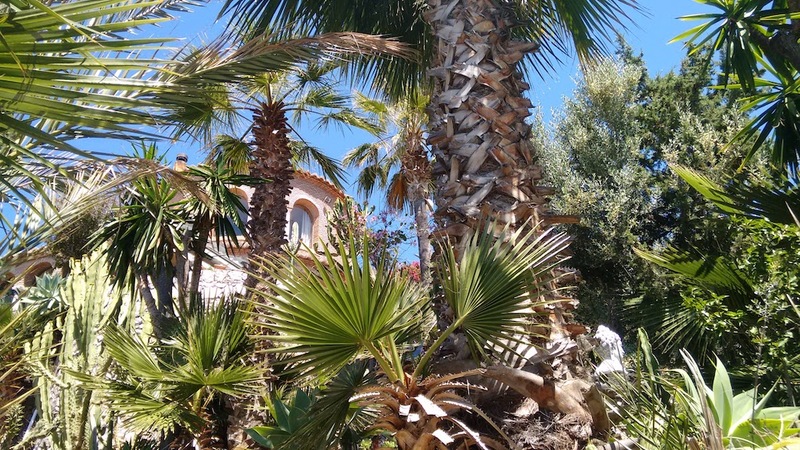 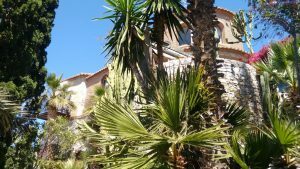 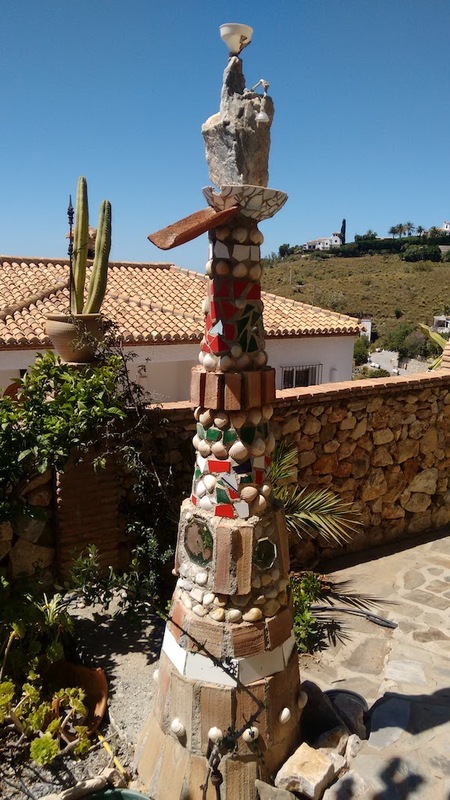 Salobreña is a pretty typically Spanish village on the Costa Tropical. 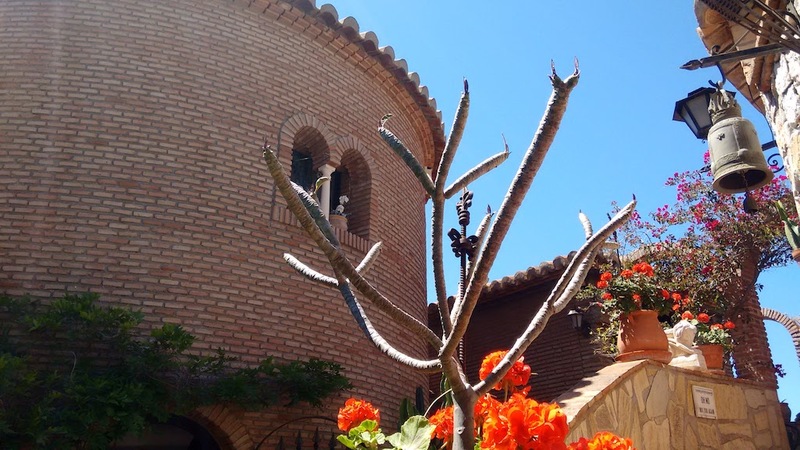 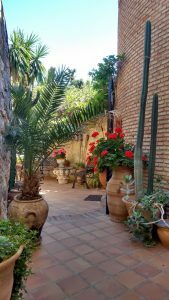 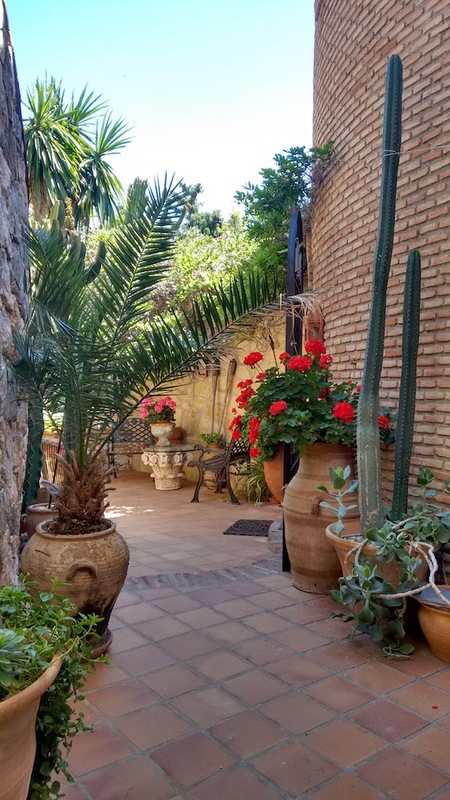 Less than an hour from Granada and Malaga, Salobreña is the ideal base to discover the area and live to the Andalusian rhythm throughout the year. 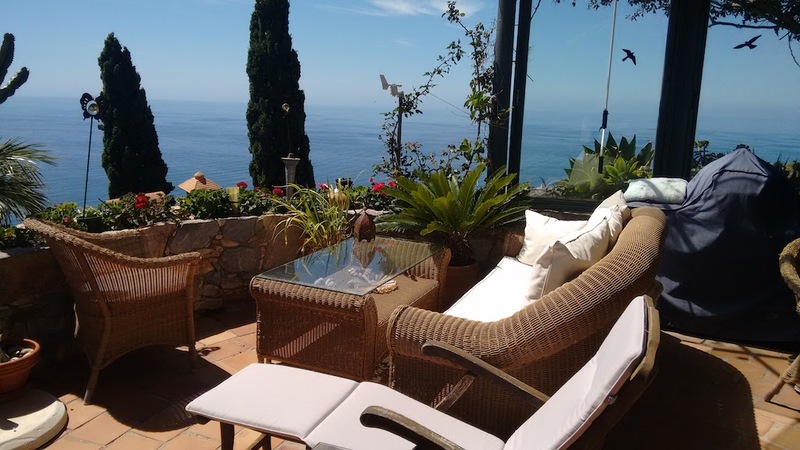 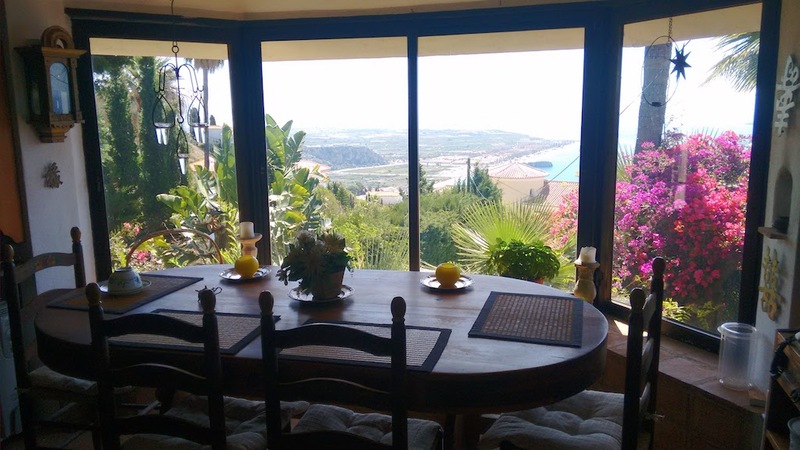 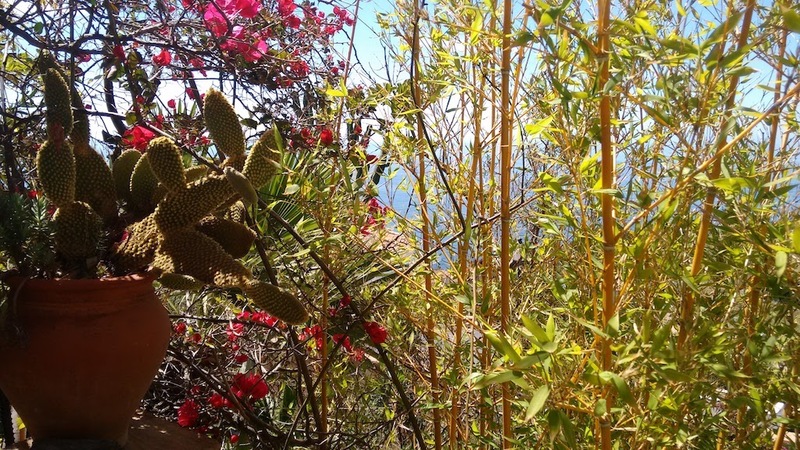 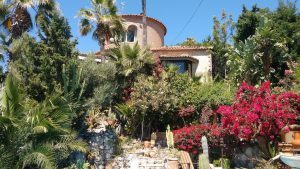 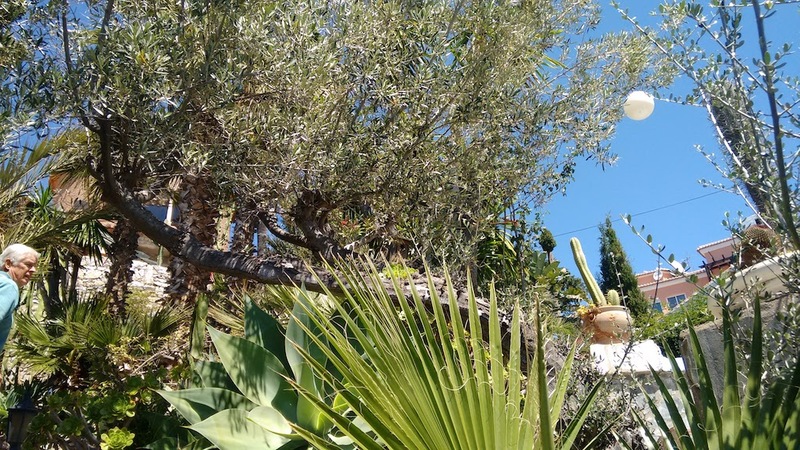 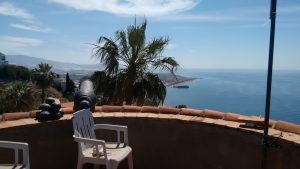 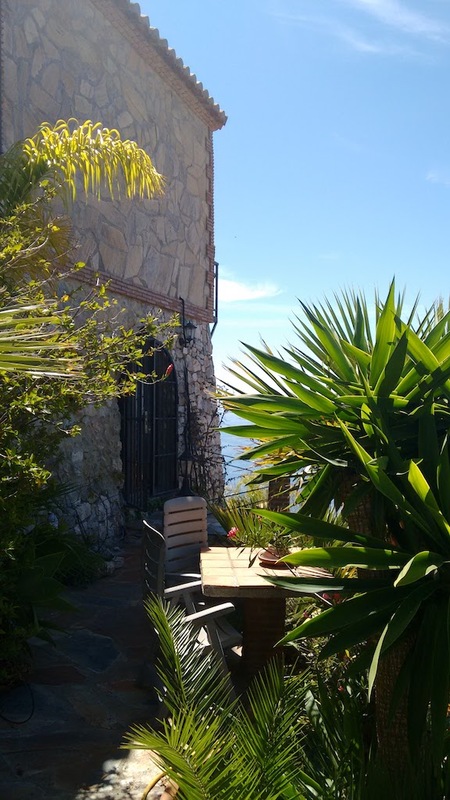 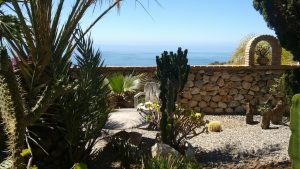 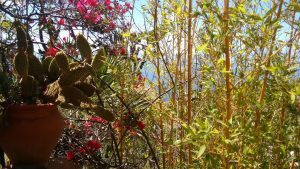 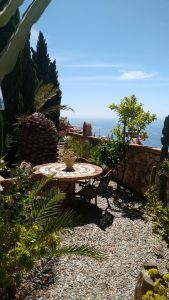 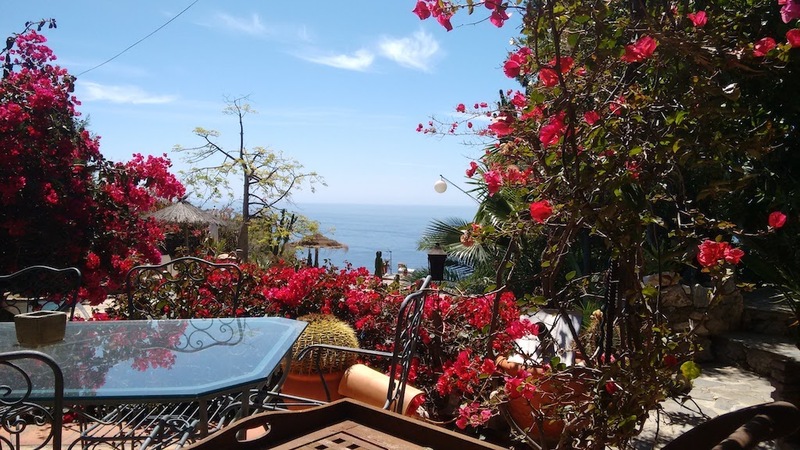 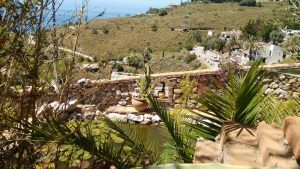 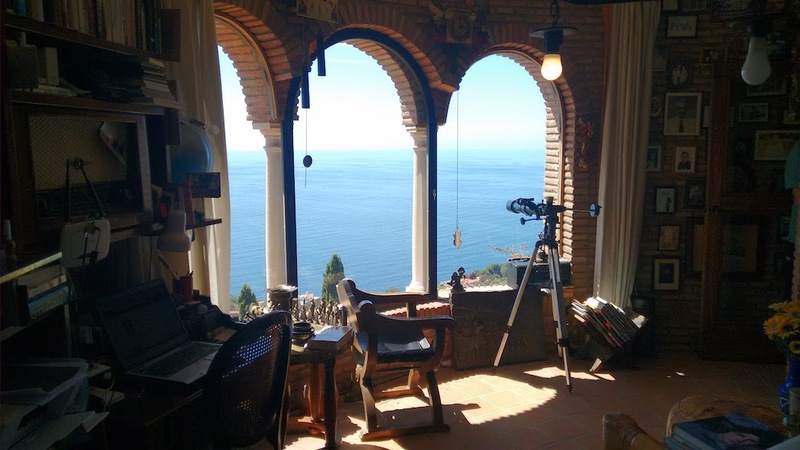 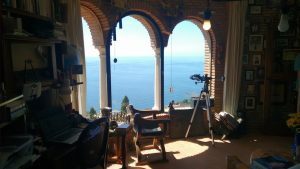 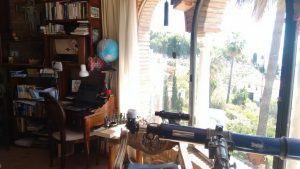 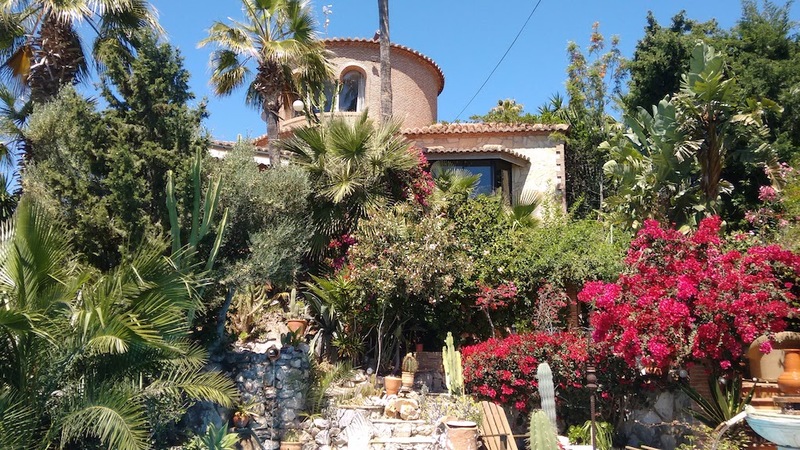 On the heights of Salobreña, with a simply dazzling view of the Mediterranean Sea, there is the famous urbanization of the “Monte de los Almendros”. 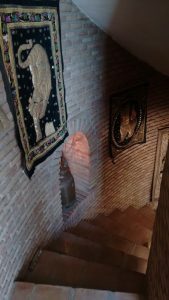 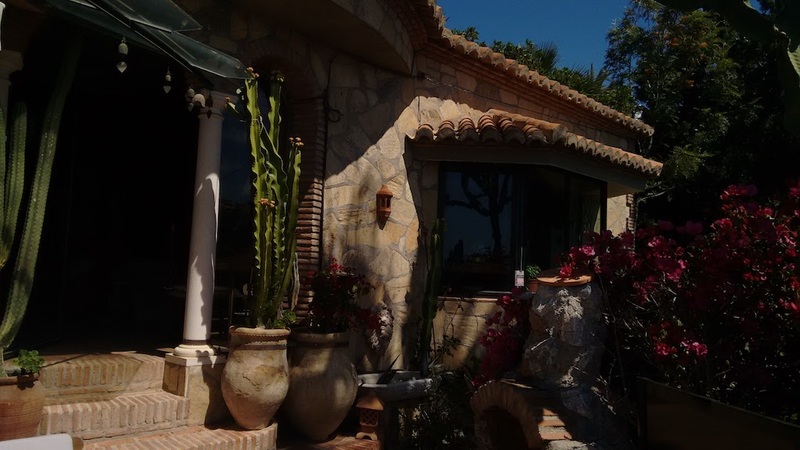 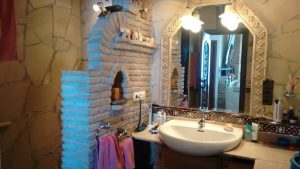 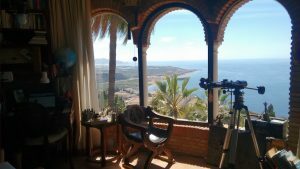 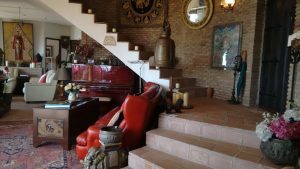 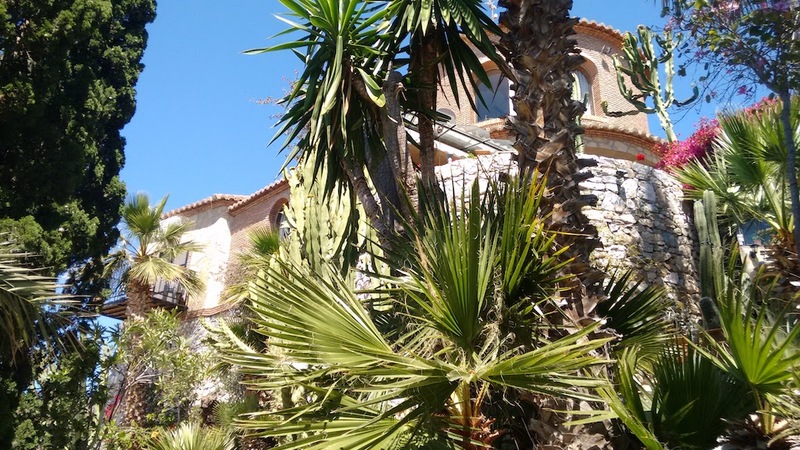 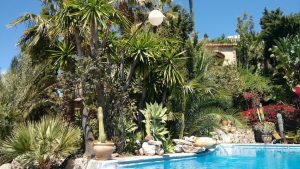 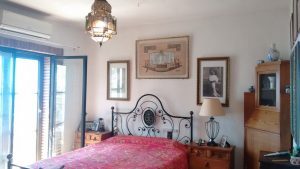 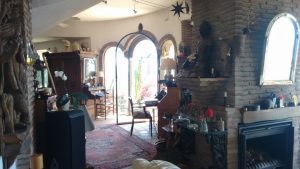 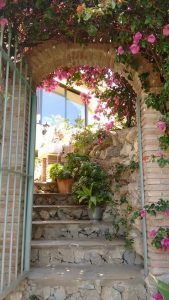 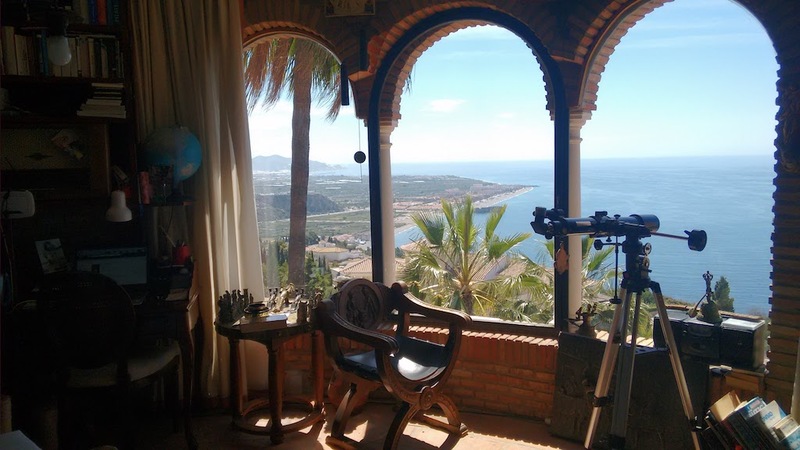 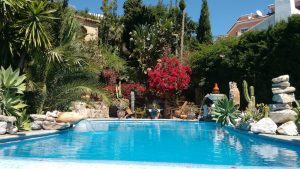 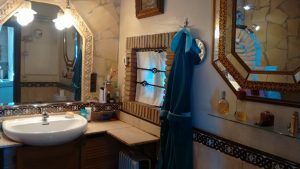 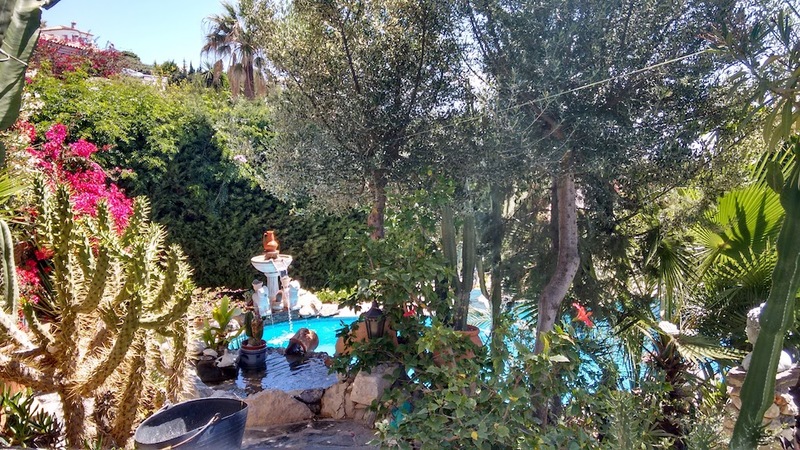 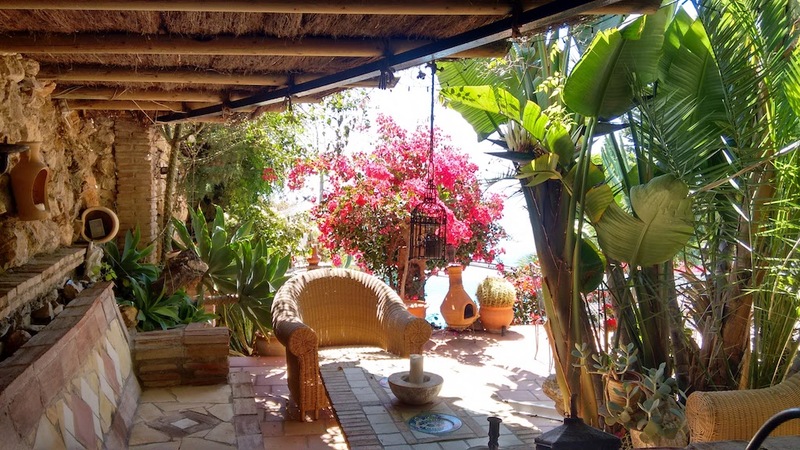 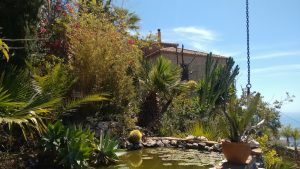 It is in this ideal setting that you will discover this magnificent villa, the result of the marriage between a construction in Andalusian style with its arched windows, its walls in briquette and an Asian atmosphere that gives a feeling of serenity. 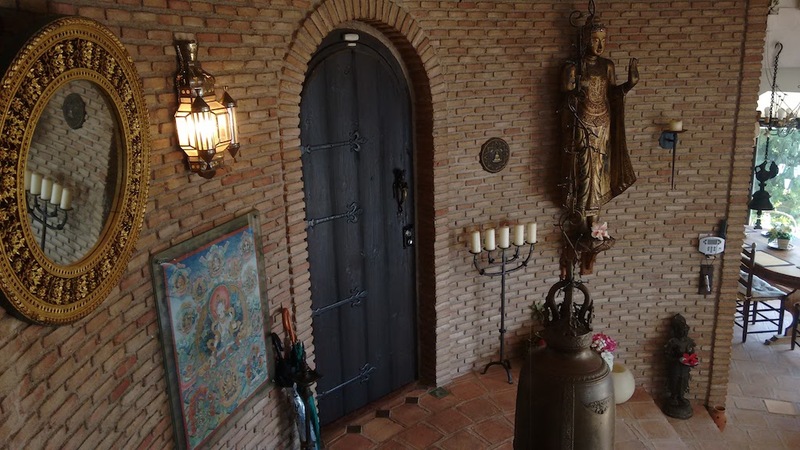 The villa has 3 accesses. 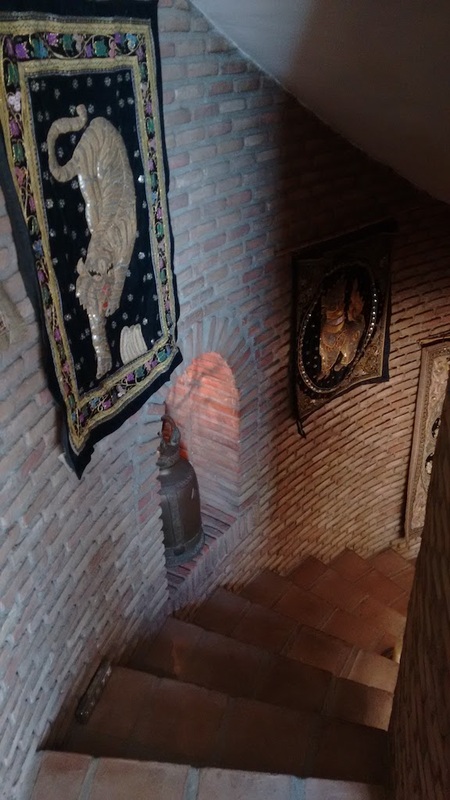 From the main access, you will reach the front door after a few steps. From the entrance, you will find yourself in a superb room totally open towards the outside with a surprising sea view. 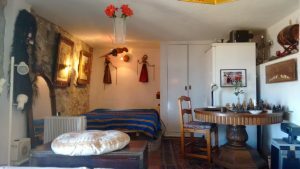 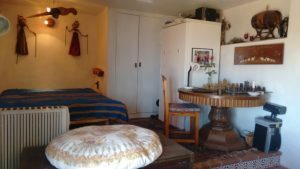 The room has two atmospheres: a cozy living room with a fireplace for your winter evening and an ideal spot to read or rest. 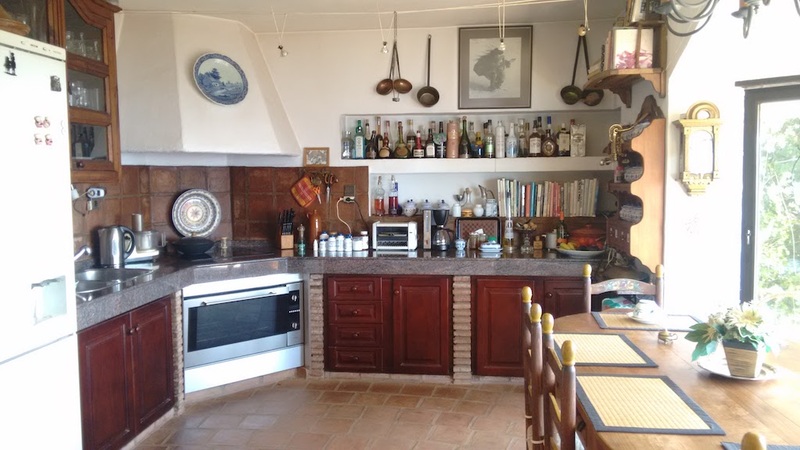 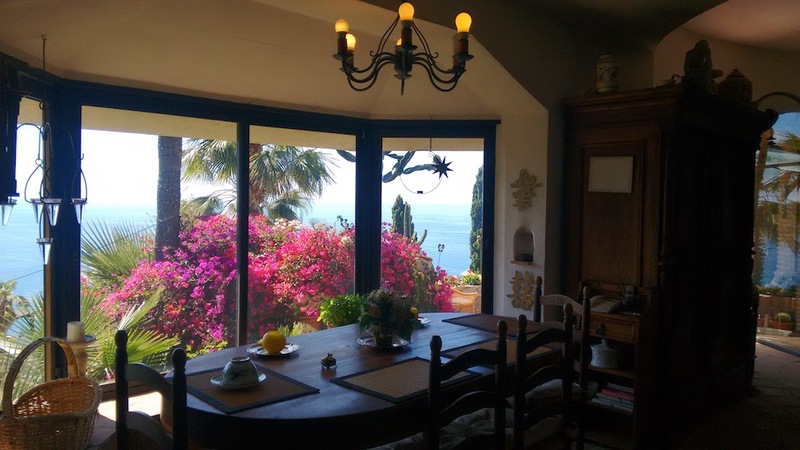 There is a large and beautiful kitchen with a dining area where you can enjoy your meals with incredible sea views. 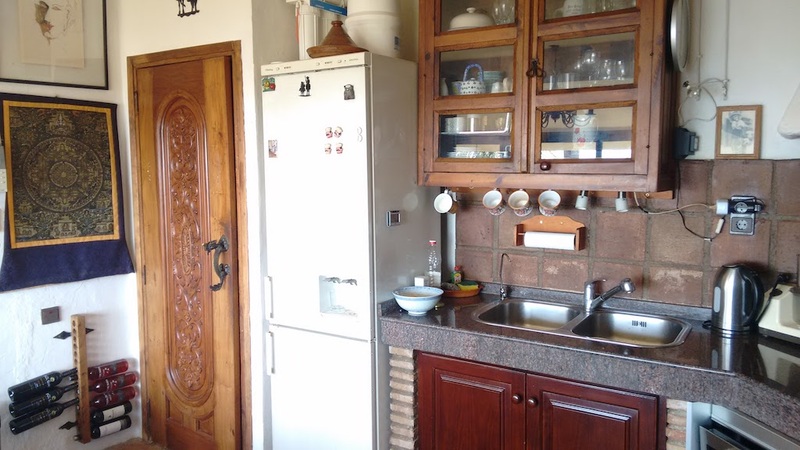 The kitchen is fully equipped and includes a large oven. Moreover, there is a filtration system for tap water and a superb cupboard for the dishwasher with a beautiful door imported from Pakistan. 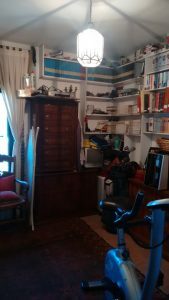 – a kind of storage room with the same magnificent door imported from Pakistan. 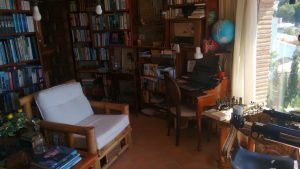 At present, this room has been converted into a superb library. 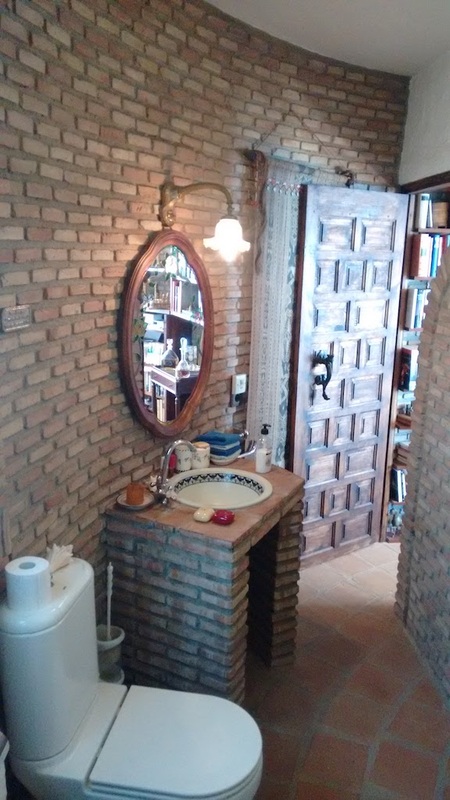 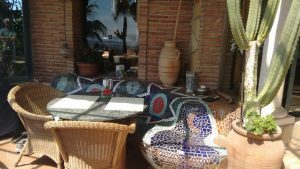 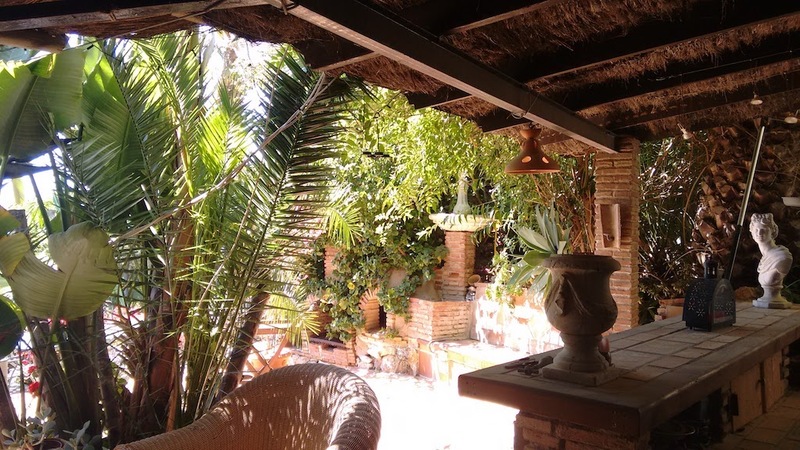 Back to the lower level … From the living room you will reach a beautiful partially covered terrace with a garden bench in mosaics in a Gaudi style. 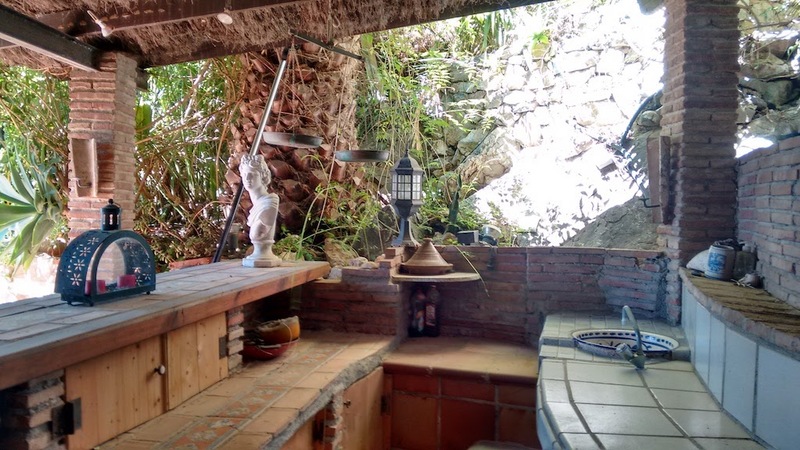 On this terrace there is also a barbecue. 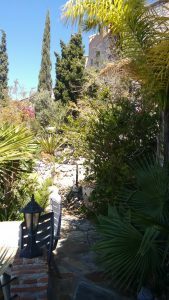 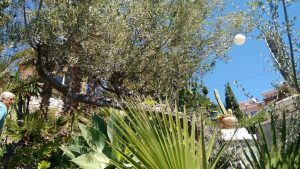 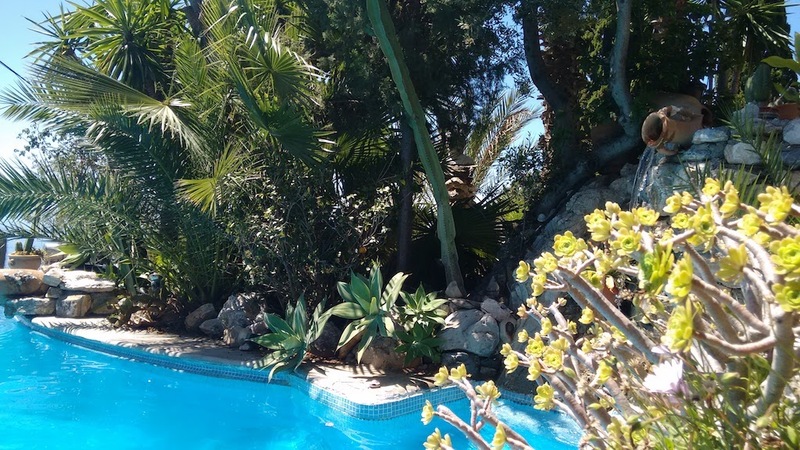 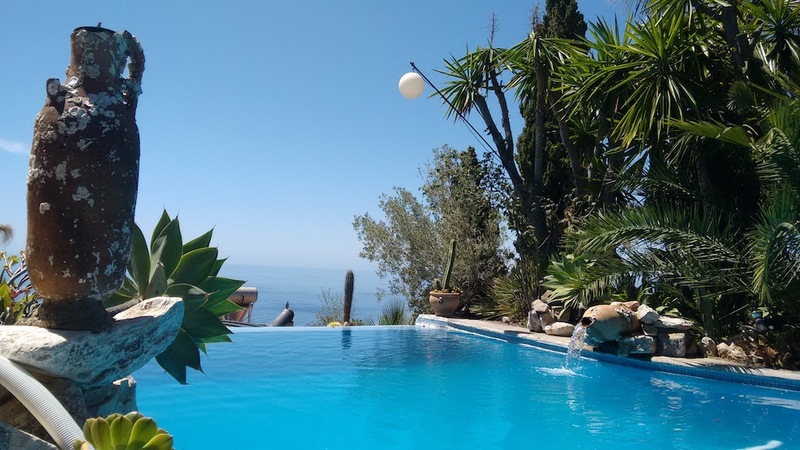 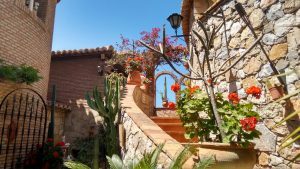 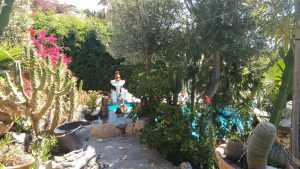 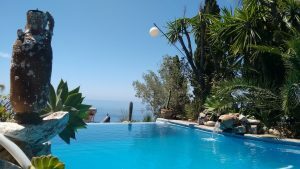 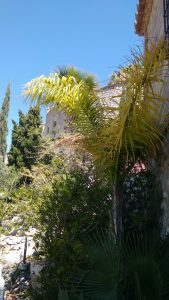 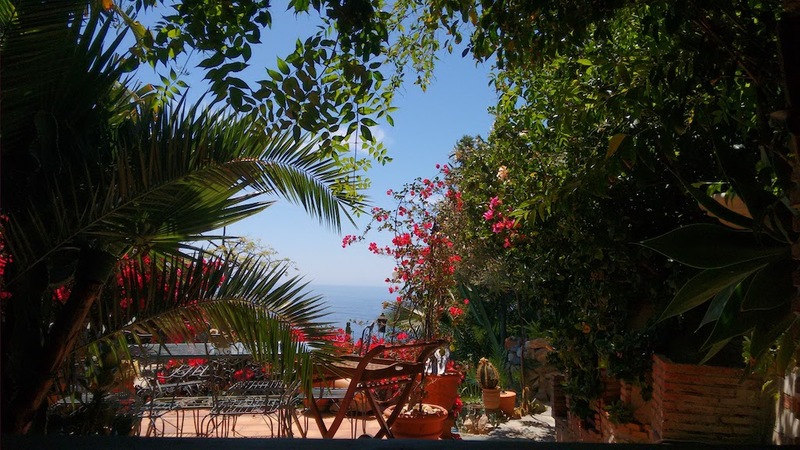 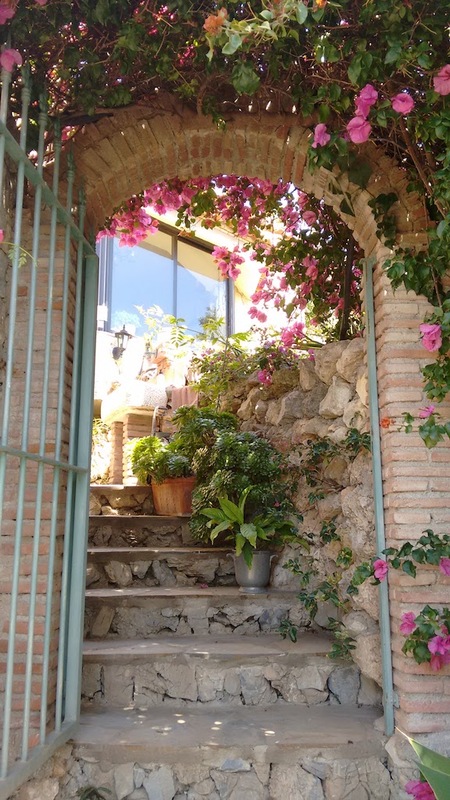 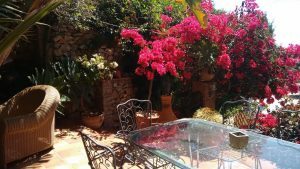 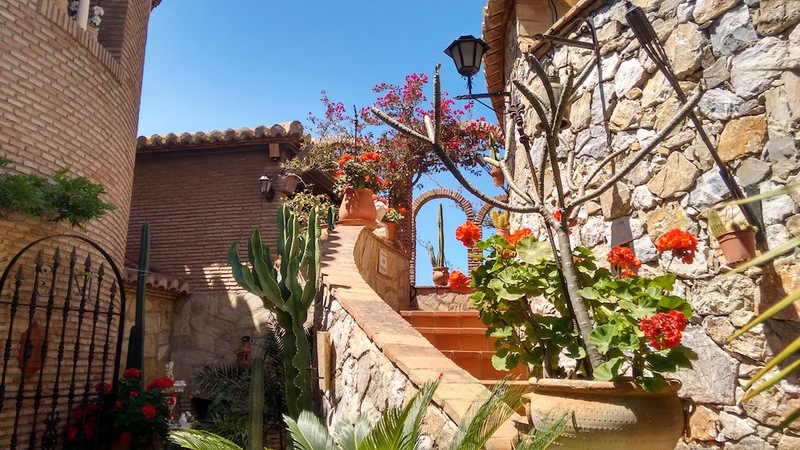 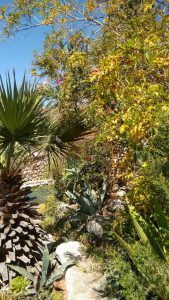 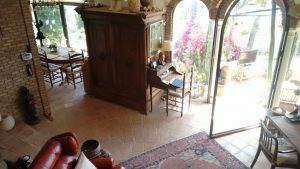 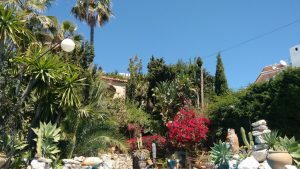 From this terrace you can access the garden, the swimming pool and the apartment, which can also be entered from the main access of the property, either completely independent or from the living room of the villa. 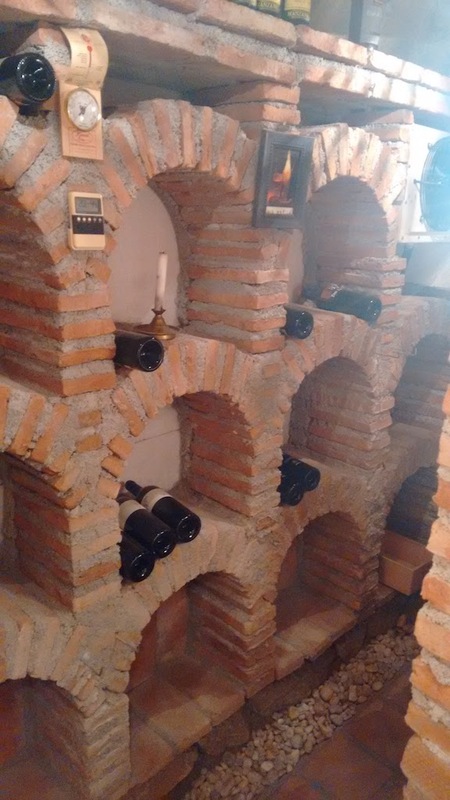 – a beautiful bedroom with a sitting area, a bathroom, a kitchenette, a wine cellar and a storage room. 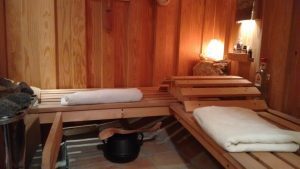 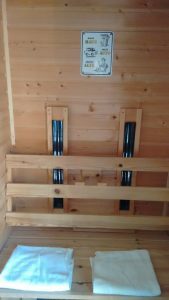 It also has two saunas, one of which is an infrared sauna. 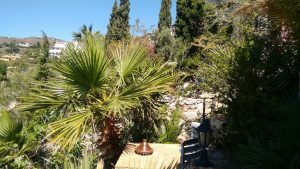 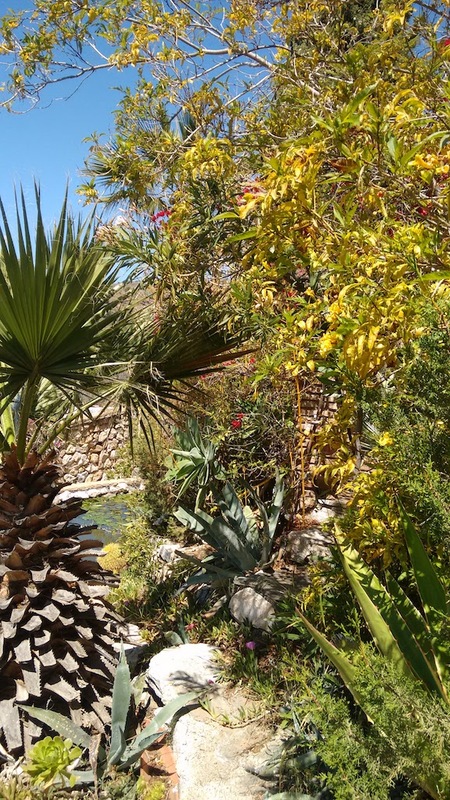 From the main villa and apartment you can access the garden which is one of the many highlights of this house. 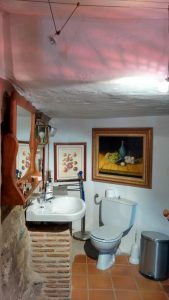 Luxuriant and perfectly maintained, it has been laid out by the current owner who takes care of it daily. It has many spaces, each of which has its own atmosphere. 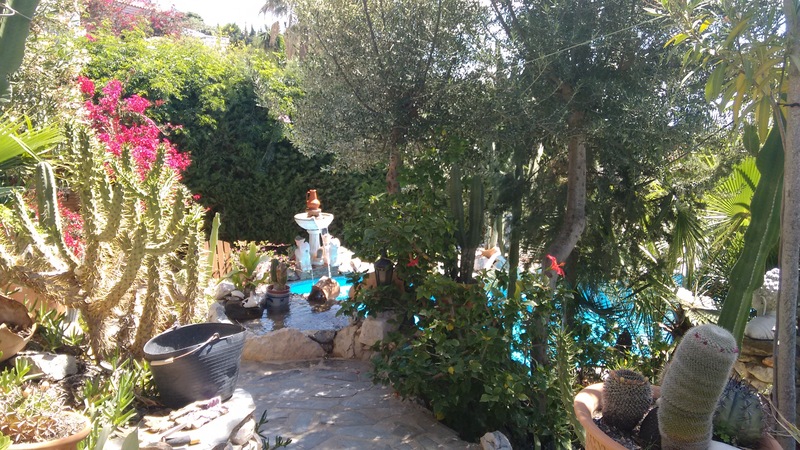 There is even a pond with goldfish and lots of fruit trees. 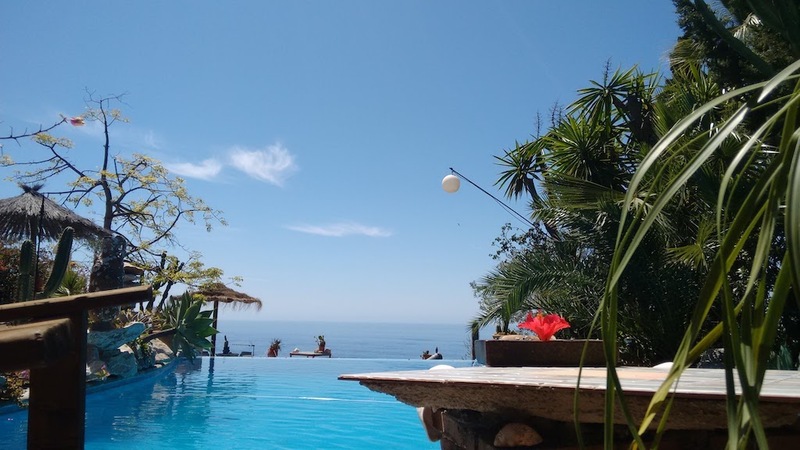 The infinity salt pool offers a breathtaking view of the sea with its 3 waterfalls that will allow you to relax. 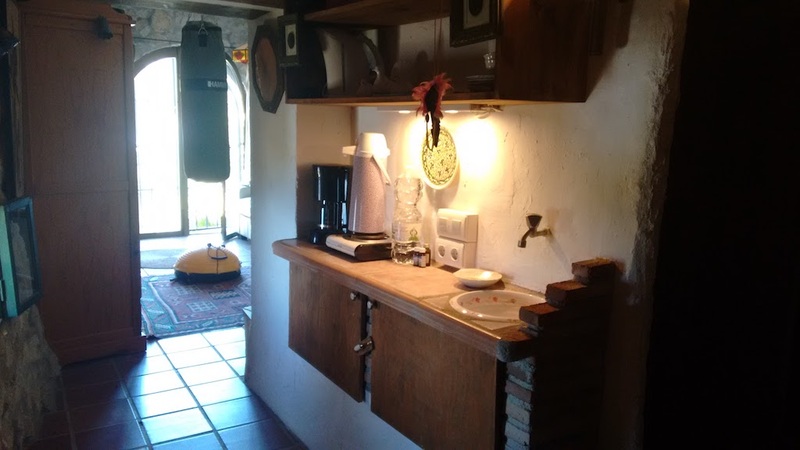 Near the pool, a summer kitchen with a bar perfect for summer. The garden has plenty of space to relax and enjoy the views. A huge garage is also accessible from the street located in the lower part of the property. 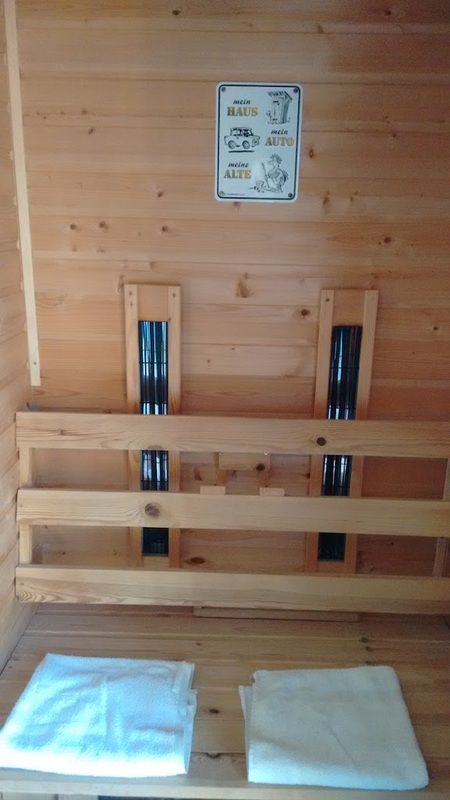 It is large enough to keep a boat, several cars or can also be arranged according to your desires or needs. 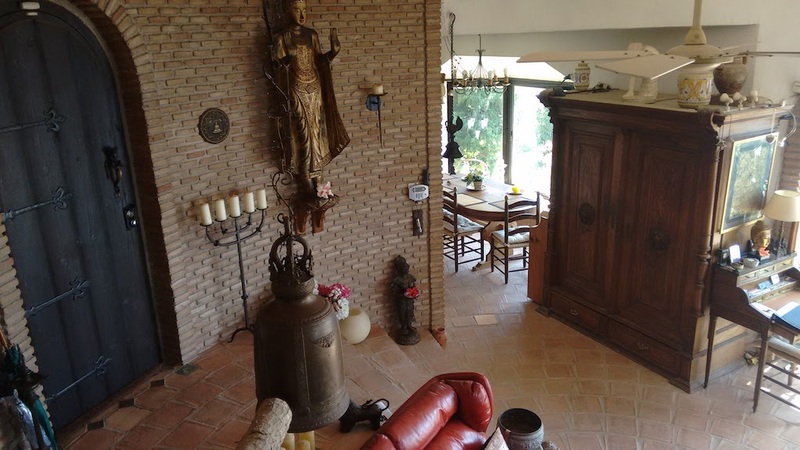 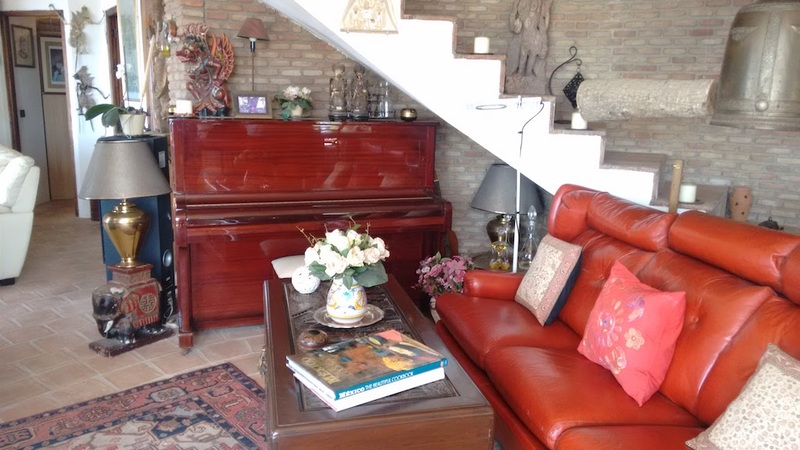 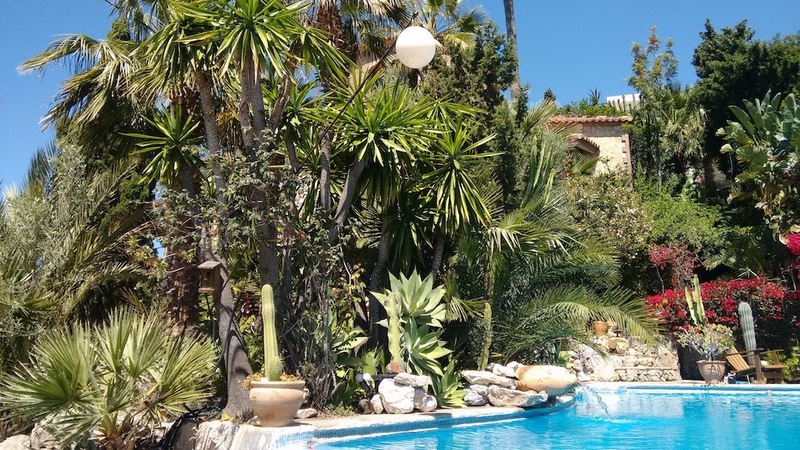 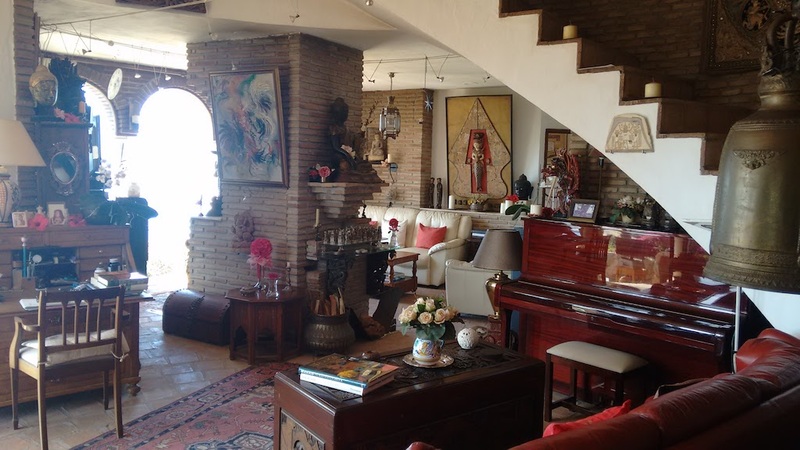 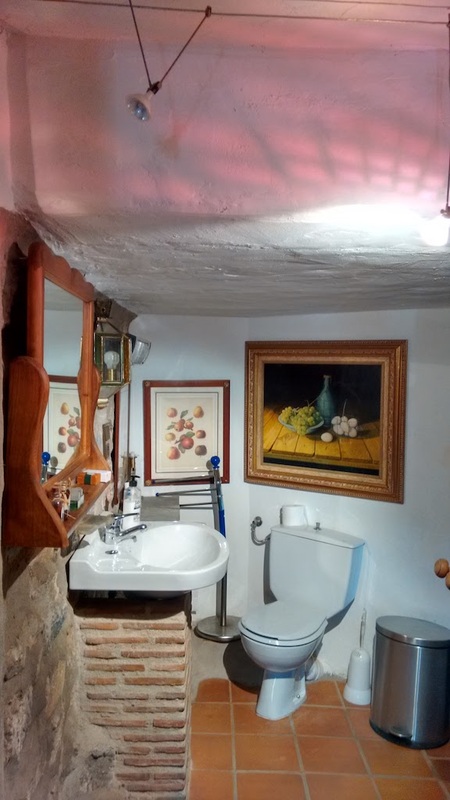 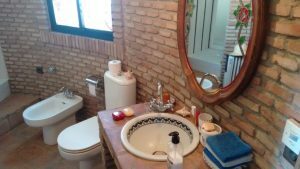 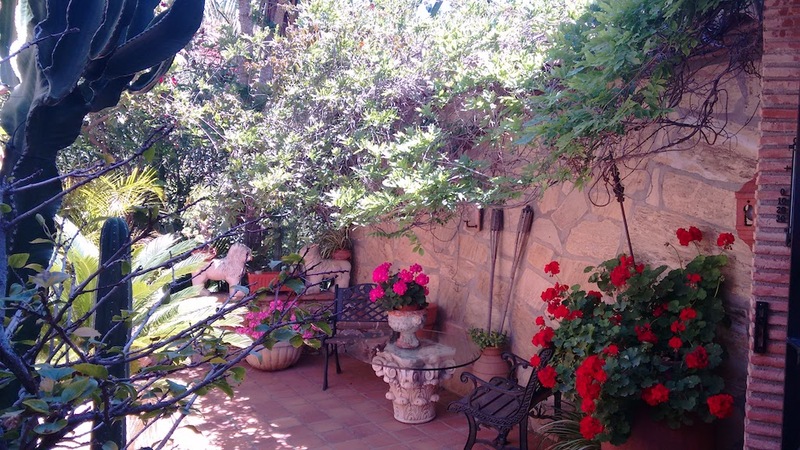 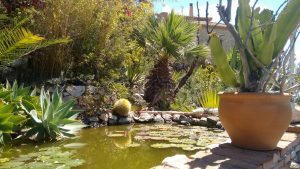 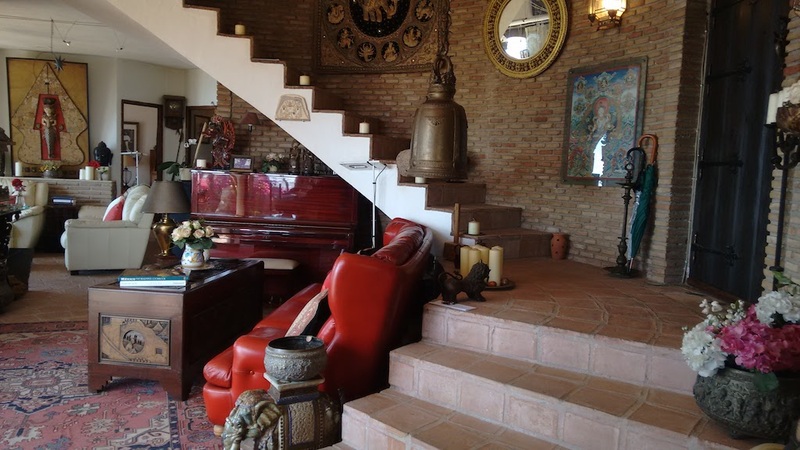 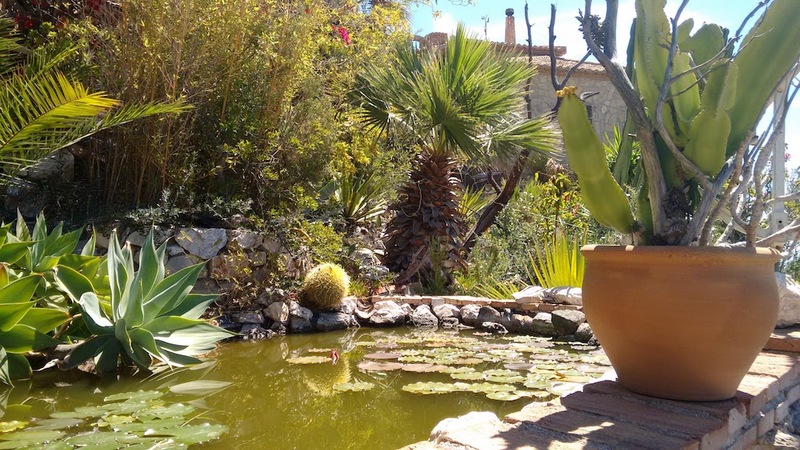 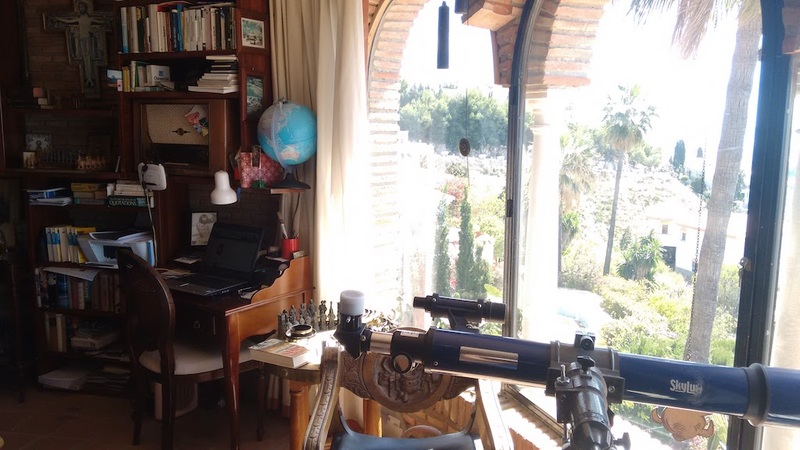 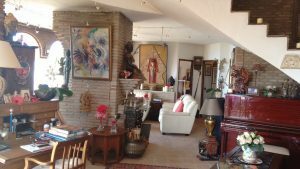 This villa offers a real opportunity to acquire an unusual villa in the urbanization Monte de los Almendros. 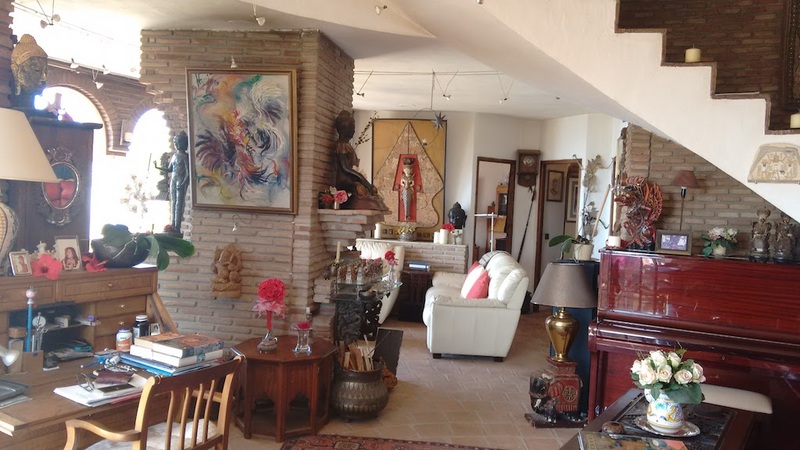 Do not hesitate to contact us to make an appointment!